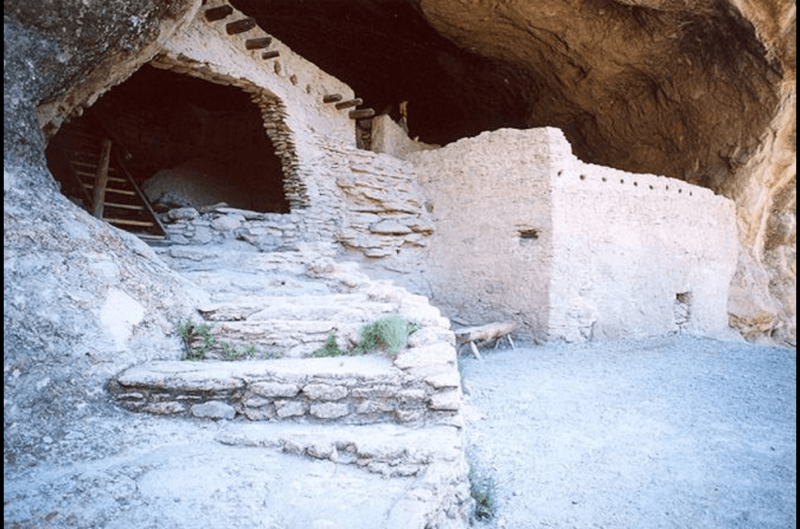 Plan a day trip to the Gila Cliff Dwellings Monument from the comfort of New Mexico Cabin Rentals! 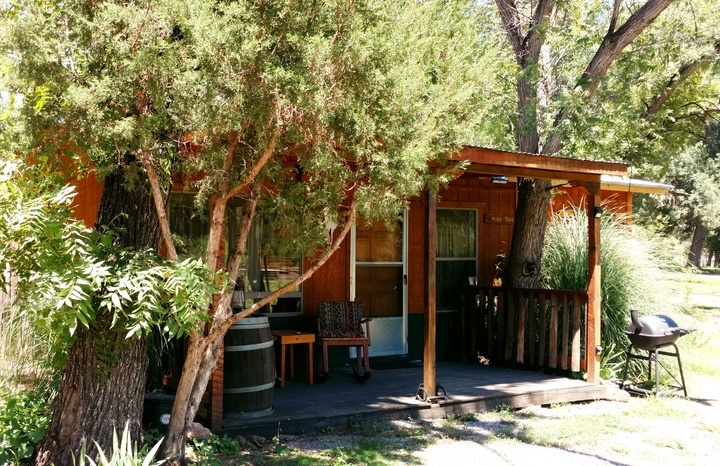 New Mexico Cabin Rentals makes day tripping convenient to so many exciting attractions! 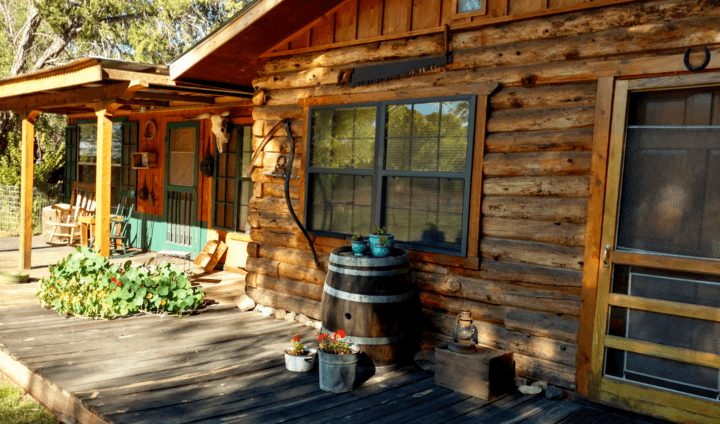 One of the best benefits of spending your time in cabin or guesthouse at New Mexico Cabin Rentals is our proximity to many of southwest New Mexico's most interesting, unique attractions! In addition to having some of the best year-round weather in every season, New Mexico offers everything from Old West history, delicious food in a variety of restaurant venues, Ancient Native American monuments or sacred sites, uniquely beautiful natural wonders of nature, and a 3 million acre Gila National Forest! In any direction, north, south, east or west, you have interesting places to go, things to see and do - all within a few hours or day trip drive! 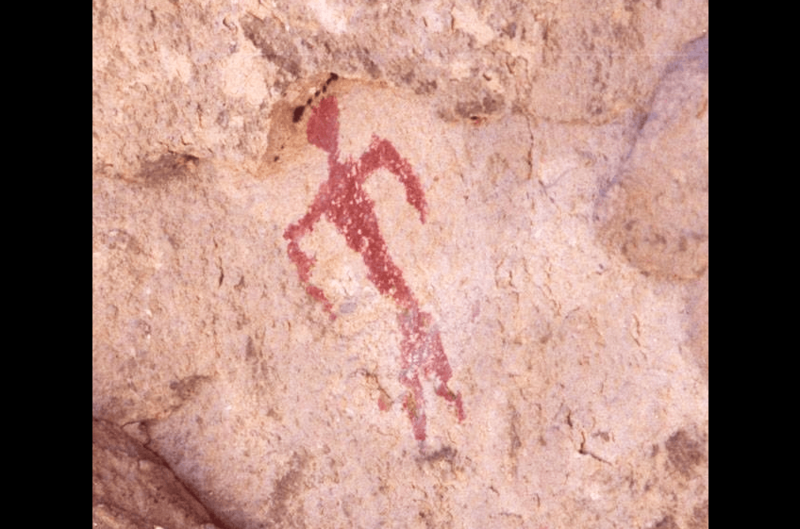 For nearly 6,000 years, groups of nomadic people used the caves of Bear Creek at the Double E Ranch and the Gila River as shelter. 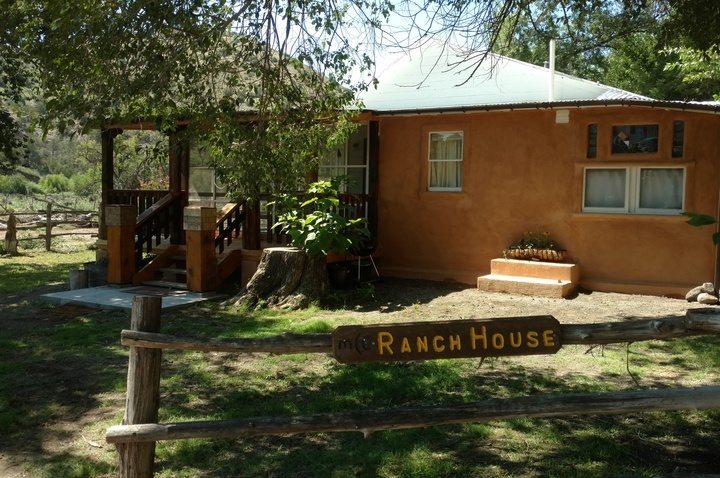 Sometime around the late 1200's, members of the Mogollon Culture decided it would be a good place and to call home. 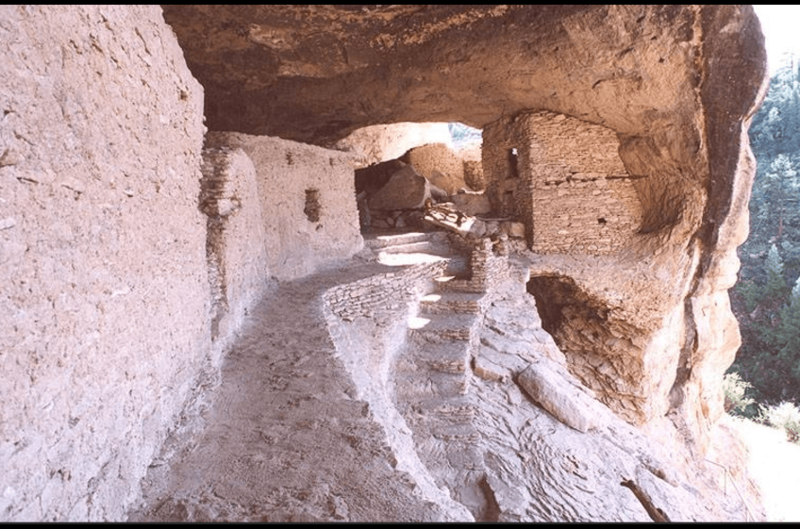 For a brief 20 years, they constructed walls, built rooms, created pottery and artwork and raised children in these cliff dwellings. 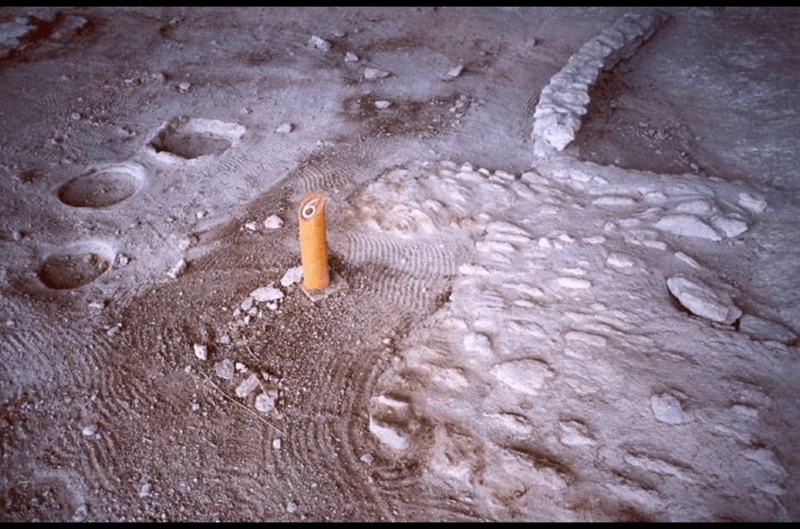 With no concrete explanation, the Mogollon people disappeared. Speculation about what actually happened is really unknown for certain. The Gila Cliff Dwellings is a magnificent example of Mogollon/Mimbres culture,creativity and ingenuity. From New Mexico Cabin Rentals, the driving time to the Gila Cliff Dwellings is approximately 2 hours 10 minutes. Once on Highway 180, drive to Silver City and pick up NM 15. It's not the distance so much as it is the mountainous, curving, winding NM 15. So, leave yourself adequate time and enjoy the ride! Rule #1: don't rush! You're in New Mexico!! Rule #2: don't rush! You're in New Mexico! From NM 15 in Silver City to Piños Altos is 18 miles. If you need supplies, food, water, pit stop -- make it here! Although you are only 37 miles from your destination, you'll begin driving the mountainous, winding road into the Cliff Dwellings and (if you do the speed limit) will still take you 1 hour 15 minutes. Pack a lunch, bring along plenty of water. The Cliff Dwellings opens at 9 am. Visitors to the Cliff Dwellings are able to explore caves and dwelling rooms at their leisure. Take advantage and give yourself plenty of time to leisurely walk through the dwellings. You really don't want to miss anything! The Cliff Dwellings close to the public at 4 pm. Visitors still in the park at closing time will have until 5 pm to leave the park. 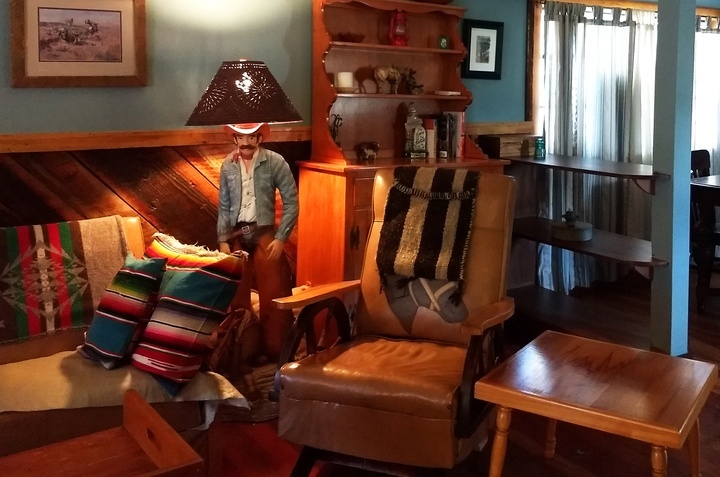 Plan on having a gastronomical delight dining at the Buckhorn Saloon and Opera House on your way back to your cabin at New Mexico Cabin Rentals, located in Piños Altos. The Saloon begins serving amazing steak house cuisine at 4 pm; closing at 10 pm. Their menu is AWESOME! Remember: make dinner reservations!! A few important items to keep in mind: Once you leave Silver City for Piños Altos and the Cliff Dwellings, remember - you have entered the Gila National Forest and Aldo Leopold Wilderness Areas. It's truly magical connecting with nature, escape concrete and the 'real world'. But, remember: you are literally on the edge of 3 million acres of wild, pristine, mostly untouched land. Plan your trip. If you are a skilled, experienced hiker - you know the ropes. Wilderness "walks" are NOT for inexperienced hikers, folks out of shape or those with health conditions. In the Wilderness or Forest, you might find an obvious trail. Signs are NOT guaranteed. NO CELL PHONE COVERAGE anywhere in the area. When in New Mexico, it's always a great idea to take water with you. It's also a good idea to check weather conditions before planning a trip to the Cliff Dwellings. 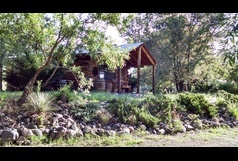 In Gila, at Double E Ranch cabins, you at 4,800 ft elevation. 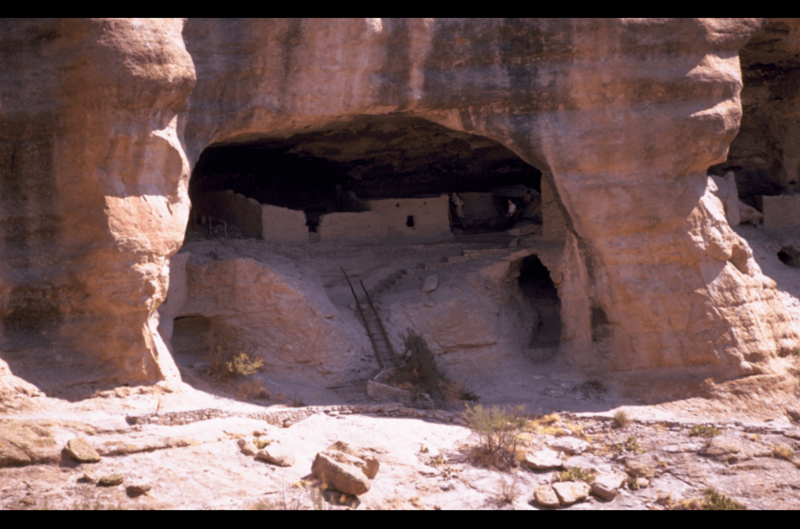 The Gila Cliff Dwellings are at 6,000 ft. Weather can unexpectedly change. Plan accordingly. Fees to enter Gila Cliff Dwellings National Park: $10/day per adult; youth under 15 enter free.